Great Captain America movies. A blockbuster Batman trilogy. An Avengers film that's almost universally loved. It's clear that today's comics fans live in happier times. An era where they can expect basic levels of quality in the superhero movies we get. In 1994, things were not always so great. 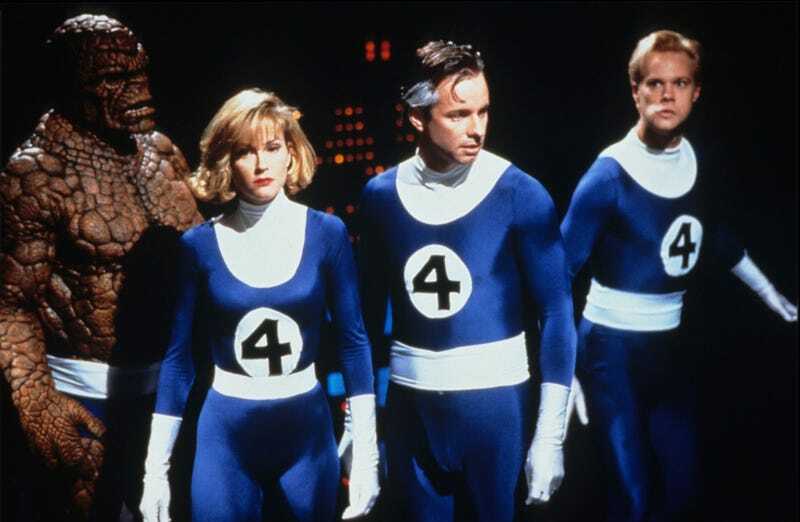 Exhibit A: the Fantastic Four movie produced by Roger Corman. Long before Marvel Comics started producing their own movies, they'd licensed the rights to many of their most famous characters to outside parties. Lots of these deals didn't actually result in any films being made. The ones that did—a Dolph Lundgren Punisher, a super-cheesy Captain America—just didn't have enough money or vision to tap into what made these concepts compelling. But, of all these pre-Marvel Cinematic Universe productions, the Fantastic Four film was the most painful. A new documentary by director Marty Langford called Doomed catches up with the actors and filmmakers involved, showing how their hopes and dreams went terribly wrong. As someone who sat through that movie in my 20s, I'm eager to find out just how this trainwreck of a movie got made. As much as folks may not like, say, the latest Spider-Man movies, they can rest assured that things like special effects or camerawork aren't going to be done on the cheap. The dark times are over. For now.